*full disclosure: a DVD screener of this film was provided by Image Entertainment. Cast: Guilford Adams, Elissa Dowling, James Gill, Lindsay Goranson, Udo Kier, Tom Savini and Debbie Rochon. Moody and atmospheric, The Theatre Bizarre is an anthology collection of shorts that journeys through Jacobean style surrealist fringe theatre. This opening narrative may not have the same circus charm as Labyrinth in "Manie Manie" (aka "Neo Tokyo"), an animated product from Japan, but the similar approach is certainly noticeable. Both products convey a sense of unworldliness, and thankfully there is a segment that explores the world through the eyes of a young child, a girl. While the live-action does not have the budget to mimic the grandiose vision that the animated masterpiece offered, the shadow play and decayed sets of the stitching narrative certainly works to draw audiences in. This video anthology offers six segments of about 15-20 minutes in length. The first segment, “The Mother of Toads,” makes for a strong start. 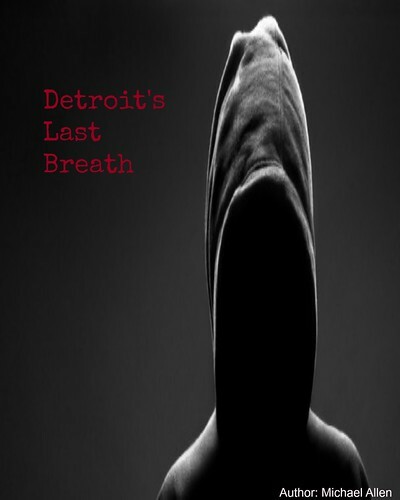 The tale is based on the same tale written by Clark Ashton Smith, and it offers some wonderful Lovecraft inspired storytelling and creep factor. Martin (Shane Woodward) is rather obsessed with discovering the origins of the Necronomicon, and whom he meets may well be Tsathoggua himself, if not his consort. More could have been done to make this segment stand out, but as with the rest of the film, each part is made with a budget in mind. From there, the rest of the shorts feature a mixed bag of hits and misses. 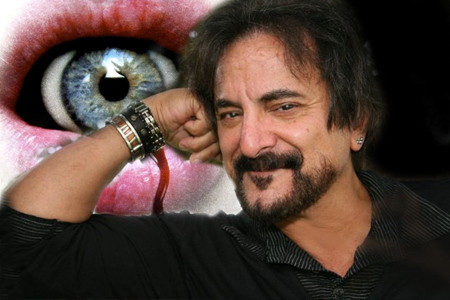 Fans of Tom Savini will enjoy his contribution, “Wet Dreams.” He provides some interesting foreplay in his tale about sexual appetites in the same vein as Marquis de Sade! "I Love You,” "The Accident,” “Vision Stains,” and "Sweets" make up for the rest of the anthology. From this group, "The Accident" is poetic in both its simple narrative and visual artistry. The gentler performances from Lena Kleine, Mélodie Simard, and Jean-Paul Rivière really have to be noted here. This segment alone is award worthy. Douglas Buck has penned a script that can very well elevate him to the top! The reason why this segment works above all others is that it explores a simple question that everyone asked in their youth: just what is death all about when young eyes first meet it for the first time. But for gorehounds, the other segments feature some kind of decapitation or mutilation to keep them happy. For a budget film, the effects department pulled out all the stops in many ways to make some of the visceral carnage note-worthy. As for other segments, “Vision Stains” feels oddly familiar. The idea of stealing dreams from others is as old as some sci-fi epics, like Inception. But this twist of Cronenberg’s formula of exploring body horror certainly makes this tale next on the praise list. The only fallacy in this product is that it does not end with a thrust. At least the video release offers some behind the scenes look at all the shorts presented. Not all of them feature an interview to explain the shots used, and more effort in explaining than showing could have made the bonus material stand out. And instead of providing a commentary track for all the shorts, only one, "The Accident," is offered. The Theatre Bizarre could have done more if the wrapping narrative expanded its structure and exposition some more. The transitions to the shorts were at times abrupt. Visiting old theatres for a side show is one thing, entering a circus tent to view the various acts together is another—at least there was a ringmaster to indicate where people should go. But at the end, most visitors are required to leave and this barker will be preening his moustache. The idea is to trap people in and this film at least accomplishes that. Now that’s a nightmare! Overall: 7 out of 10. *released April 24th on DVD. Theatre of the Bizarre at Image Ent.